Flypaper Textures now launches a reduced size, hand picked taster set so now you can try these web-sized 72dpi versions before you buy the full sized versions! We’ve had many requests for this kind of set over the years but now with the launch of the new Adobe Photoshop Touch which can utilize our texture layers for tablets, we see a very real need for this set! 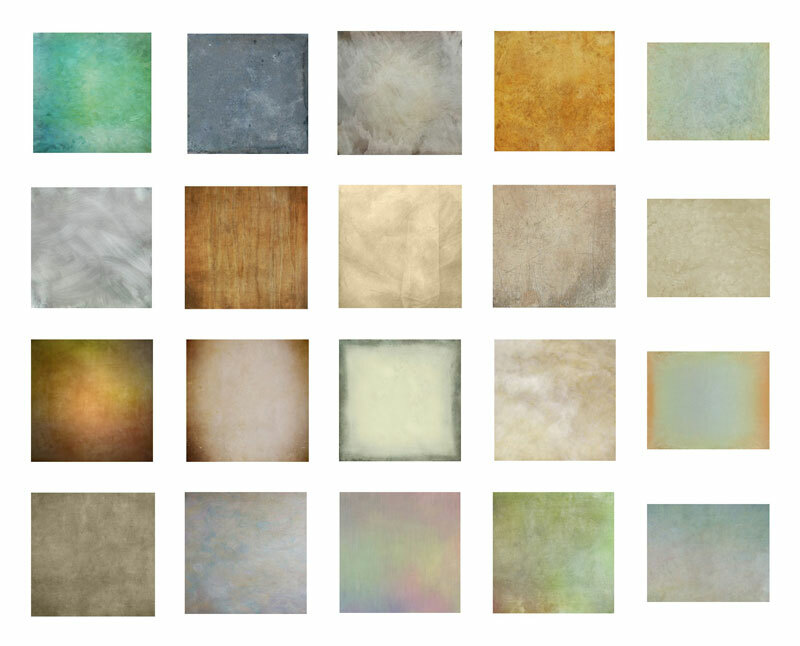 These textures are taken from the first five Flypaper Texture sets, so you’ll get a nice mix from the basic grunge to the newer painterly sets. In our new upcoming blog recipe posts we will be showing how these can be used with brand new recipes, for both Adobe Photoshop and the Adobe Photoshop Touch. You can also search our large back-stock of blog recipes for ready published recipes. The textures are web sized at 72 dpi and are 1400 square or 1750 by 1400, they’re for use in web publishing rather than printing. Flypaper Spring Painterly – Lemonchello, Creme Anglaise. Please note that no discounts are available on this pack. To get this Taster set into your chosen graphic tablet we recommend the use of Itunes to facilitate the upload of the complete file of textures to your Ipad or Android. Or simply email them from your desktop to yourself and open the email on your portable device and download your textures to your photo files. You can also use the new Adobe Creative Cloud to wirelessly transfer this set.